Home » About » Our Doctors » David W. Kruse , M.D. David W. Kruse , M.D. Dr. Kruse grew up in Florida but followed his personal sports aspirations to the University of California, Berkeley, via a full athletic scholarship for gymnastics. While competing for Berkeley, he was a 3-time captain, 6-time All-American, UC Berkeley Male Student-Athlete of the Year, Pac 10 Medal Recipient, and won an NCAA Team Championship. He continued his gymnastics career after college, competing full-time internationally as a 4-time member of the USA Gymnastics Senior National Team. After retiring from gymnastics, Dr. Kruse attended medical school at the University of California, San Diego and thereafter completed a residency in family medicine at Long Beach Memorial Medical Center. 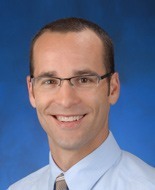 Following residency, Dr. Kruse completed fellowship training in sports medicine at the University of Notre Dame. Before joining the Orthopaedic Specialty Institute, Dr. Kruse practiced for 4 years at the University of California Irvine as an Assistant Clinical Professor in the Departments of Orthopaedic Surgery and Family Medicine. He maintains a Volunteer Faculty position with UC Irvine in order to continue his active sports medicine teaching for medical students and residents. Dr. Kruse also serves as a resource for the community and provides many local lectures to various schools and community groups on a wide range of sports medicine topics. He also has multiple peer-reviewed journal and textbook publications on a wide range of sports medicine topics. Dr. Kruse currently serves as USA Gymnastics Men’s National Team Physician and as a Team Physician for the FAST swim club. He is also a Team Physician for the University of California Irvine and Godinez Fundamental High School, and assists with coverage for Crean Lutheran High School. In addition, Dr. Kruse helps with medical coverage for USA Water Polo both locally and internationally and provides sports concussion consultation and care for Servite High School, Santa Ana College, Santiago Canyon College, Corona Del Mar High School, and the Orange County Department of Education. Dr. Kruse is an active member of the American Academy of Family Physicians, the American Medical Society for Sports Medicine (AMSSM), the American College of Sports Medicine, and the American Institute of Ultrasound in Medicine. He currently chairs multiple committees with the AMSSM and is part of the Program Planning Committee for the 2012 AMSSM Annual Meeting in Atlanta this year. 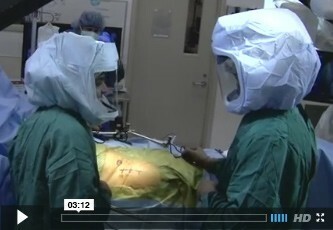 Please visit www.krusesportsmd.com to find out more about David W. Kruse , M.D.